The fact is, lenders and underwriters are getting more strict as to whom they are lending home mortgages and loans to. On one hand, this is a good move by prequalifying homebuyers more carefully ensuring may stay in the home and not default on the mortgage. On the other hand, it is making it more difficult for homebuyers to find a home loan that fits their needs. Typically, cleaning up your credit score is one of the first steps to ensuring a home loan or mortgage. Here are some simple ways that you can clean up your credit score in six months or less. Request a copy of your credit report from one of the three credit history companies. You can do this for free once a year from Experian, TransUnion and Equifax. Many of the free credit reports or scoring websites will typically give you a report for free and then charge you for any subsequent reports in the future. You legally can request a report from each of these three major companies once per year. Once you have the report go over it in detail making sure all the information is accurate. Many times you’ll find a mistake or an error that can be quickly cleared up with a letter or a phone call. Start here by correcting any misinformation on your credit report. 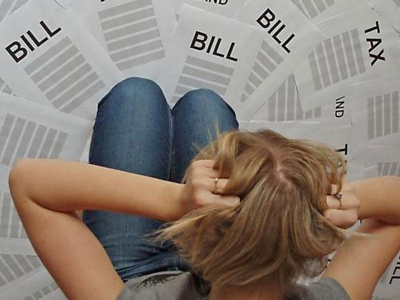 Get current with any overdue bills or credit cards. If you are currently over the limit on any credit card make sure you do your best to stay under that limit or get under that limit as quickly as possible. If you are currently behind on any payments find a way to stay current and get up-to-date as quickly as possible. It will typically take 3 to 4 months for your credit history to bounce back after you have been late on a credit card payment. If you have credit cards or certain accounts that you no longer have the card for or that you don’t have a balance on, don’t cancel them. If you have credit accounts that currently do not carry a balance, this will count for you in your credit report. If all of your credit accounts are currently maxed out or at full balance it will reflect negatively on your report. Start small by purchasing little items and paying them off immediately. This works well with a department store credit card where you can pay immediately after the purchase right at the counter. By doing this over time you will slowly build a more positive credit history and increase your score. If, after doing all these things, you still are unsure of your credit history and capability of obtaining a home loan, sit down with the lender and discuss your options. Many times lenders will offer a strategy or plan of attack on your credit history over the next 3 to 6 months or longer if necessary. We want to make sure you get the right mortgage on the right Warner Robins real estate. Start now by repairing your credit and contacting a lender for details on how to specifically increase your credit score. Let me know how I can help. Contact me anytime for information on Warner Robins real estate or to buy or sell a home in the area. (478) 960-8055. Follow the links for additional credit tips on Fixing Your Credit, FICO Score and Credit Do's and Don'ts.